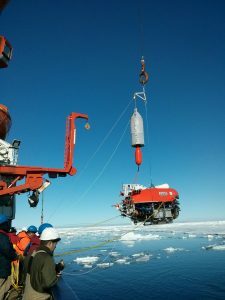 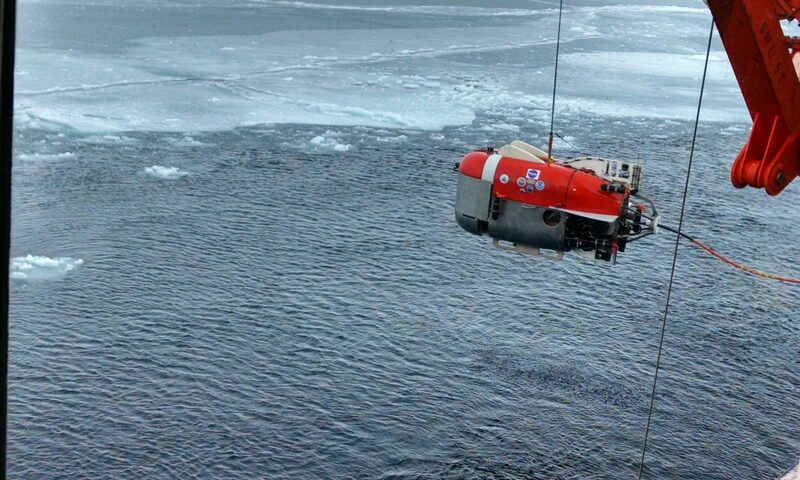 Louis Whitcomb and Christopher McFarland and collaborators from the Woods Hole Oceanographic Institution conducted the first under-ice sea trials of their newly developed ‘Nereid Under-Ice’ (NUI) Underwater Robotic Vehicle on the month-long F/V Polarstern Expedition PS86 in July, 2-14. 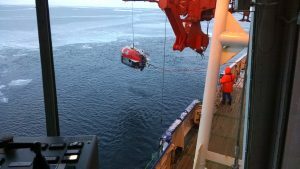 See weekly cruise reports, AGU Engineering Abstract, AGU Science Abstract. 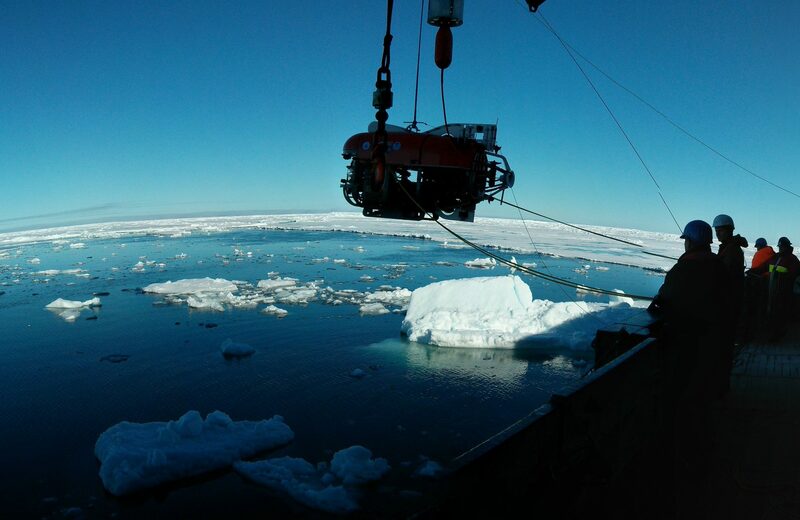 The team completed four NUI dives at 86°N 6°W, about 200 km North East of Greenland in the Arctic Ocean.